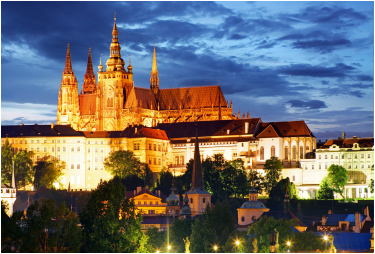 Prague is undoubtedly one of the most beautiful cities in the world, with a treasure trove of must sees that compare or surpass most European capitals. Begin with the Old Town Hall and the famous Prague Astronomical Clock, to the winding lanes of the Jewish Quarter. Cafes entice you to stop as do boutiques and sightseeing cruises on the Vltava. Cross the Gothic Charles Bridge to the Church of St. Nicholas in the Lesser Town, to see the most beautiful Baroque church in Prague. Then on to Prague Castle, the Palace Gardens and St. Vitus, whose spire is as beautiful as it is famous. Each of Prague's districts has its own unique charm. It is romantic and thriving, ancient and modern, but above all it is a city that is cosmopolitan through and through and by far the most enchanting of all Eastern European cities. 3 nights or more in your choice of 3, 4 or 5 star centrally located hotel. This is a walkers city and especially easy to get around and more charming than you can imagine. Gothic spires are place markers throughout the city highlighting a lovely collection of neighborhoods. Prague is famous for its Christmas Market in Wenceslas Square and is lovely any time of the year. Create the perfect vacation - for you! Explore Prague and then pick up a car rental and explore the countryside. 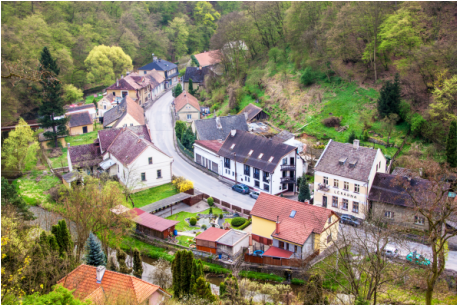 The scenery of Bohemia will remind you of a scene from a fairy tale with miles of tall pines that block the sun. Off the beaten path, you'll find villages that haven't changed in 60 years with their Coptic spires and town hall squares. you can visit a beautiful collection of UNESCO World Heritage Sites all within a short drive from Prague. Let us help you plan your itinerary.